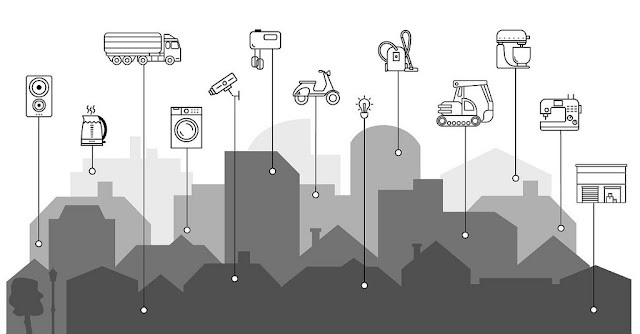 Global Internet of Things (IoT) markets are poised to achieve significant growth through the use of sensors, widgets, cameras and platforms that are used to help implement precision digital control and send alerts for all manner or management of devices and machinery. Visualization and digitization are permitting a growing number of companies and individuals better control of any device or mechanical thing while present a diversity of uses for digital tracking devices in industry, healthcare and consumer markets. The market is growing at a rapid pace because of increasing popularity and integration in various consumer markets. The Internet of Things (IoT) is believed to be the next Industrial Revolution impacting the way all businesses, governments, and consumers interact with the physical and digital worlds. Active tech companies in the markets this week include Gopher Protocol Inc. (OTC: GOPH), Microsoft Corporation (NASDAQ: MSFT), Cisco Systems Inc. (NASDAQ: CSCO), Salesforce.com Inc. (NYSE: CRM), SAP SE (NYSE: SAP). Gopher Protocol Inc. (OTCQB: GOPH) BREAKING NEWS: Gopher Protocol, a company specializing in the creation of Internet of Things (IoT) and Artificial Intelligence enabled mobile technologies, is proud to announced that together with its partners has taken actions domestically and internationally to protect its Guardian Patch system and filed a continuation application with the USPTO. In addition, Gopher filed in with the European Patent Office in order to protect its Guardian Patch intellectual property for this market segment. As a reminder, the patent was issued July 10, 2018 as U.S. Patent No. 10,021,522. As previously disclosed, on July 6, 2018, Dr. Rittman filed a continuation application in the USPTO to preserve the right to pursue different/broader claims later based on further developments to the invention and potential infringers. The Guardian Patch is a communications device that is self adhesive and can be affixed to any object in order to track it anywhere on Earth. When fully developed, Gopher intends that the Guardian Patch will be able to track an object's movements, in real time, at any location in the world, indoors, outdoors and underground. The system will be able to establish a location completely passively using its own radio technology. The Guardian patch enables a whole new range of "real-life location analytics". It could track exactly how many miles your object moved, cities/towns visited, velocity of travel, how long the object was at a specific location, altitude and temperature as well as the object's current movement in real time. The system includes its own power source that is expected to last one year. Microsoft Corporation (NASDAQ: MSFT) and Campbell Soup Co. recently announced a partnership to modernize Campbell's information technology (IT) platform through the Azure cloud by streamlining workflows and driving efficiencies. The migration to Azure is designed to improve the responsiveness of Campbell's IT infrastructure, enabling it to be faster and more agile. Azure will provide Campbell with a global, hybrid cloud solution that will deliver new capabilities and provide near-real-time access to information and insights that will inform business decisions. The platform will streamline operations across the enterprise and provide additional flexibility for Campbell employees through customized reporting and analytics. Cisco Systems Inc. (NASDAQ: CSCO) recently announced that it has been selected by The Walt Disney Studios as a founding member and Innovation Partner of The Walt Disney Studios StudioLAB. StudioLAB will be based on The Walt Disney Studios Lot in Burbank, California. The announcement was made on stage at the first annual "XR On the Bay" Conference hosted by the Advanced Imaging Society at Cisco corporate campus in San Jose, California. The StudioLAB initiative is focused on using cutting-edge technologies to reimagine, design, and prototype the entertainment and production capabilities of the future. The 3,500 square foot StudioLAB facility will be located on the historic Disney studio lot in Burbank. Salesforce.com Inc. (NYSE: CRM) recently announced that for the twelfth consecutive year, Salesforce has been positioned by Gartner, Inc. as a Leader in its July 2018 Magic Quadrant for Sales Force Automation. Placement was given to Salesforce for its completeness of vision and ability to execute. With Sales Cloud, salespeople are armed with the intelligence and insights they need to sell faster, smarter and the way they want. "Automation is essential to unlocking the next level of productivity and accelerating the sales process," said Adam Blitzer, EVP & GM, Salesforce Sales Cloud. "Powered by Einstein Artificial Intelligence, Sales Cloud provides our customers with the automation, intelligence and tools they need to create deep, meaningful relationships and drive their business forward in the Fourth Industrial Revolution." SAP SE (NYSE: SAP) recently announced the expansion of its strategic partnership with Thomson Reuters to simplify converting cross-border transaction prices into a single currency, no matter where or when the transaction happens. The new SAP® Cloud Platform-based application, called SAP Market Rates Management, Thomson Reuters data option, offers out-of-the-box connectivity to comprehensive pricing and reference data from the Thomson Reuters Financial and Risk business and is available to SAP customers worldwide. The partnership makes it easier for chief financial officers, treasurers and corporate finance teams to access pricing and reference data to more accurately calculate foreign exchange transactions. SAP Market Rates Management integrates foreign exchange and money market data from Thomson Reuters for more accurate pricing of any global transaction across SAP Cloud Platform.